7 HUGS from last night, Book Club Girls! I was very inspired by today’s guerrilla goodness post from Kindness Girl. Turns out garbage collectors have the most thankless job in America. You all know how much I love hugging the garbage collectors. Today, I decided to take my gratitude one step further. It was cold out, not freezing, but dreary and overcast. It was a perfect hot drink day. 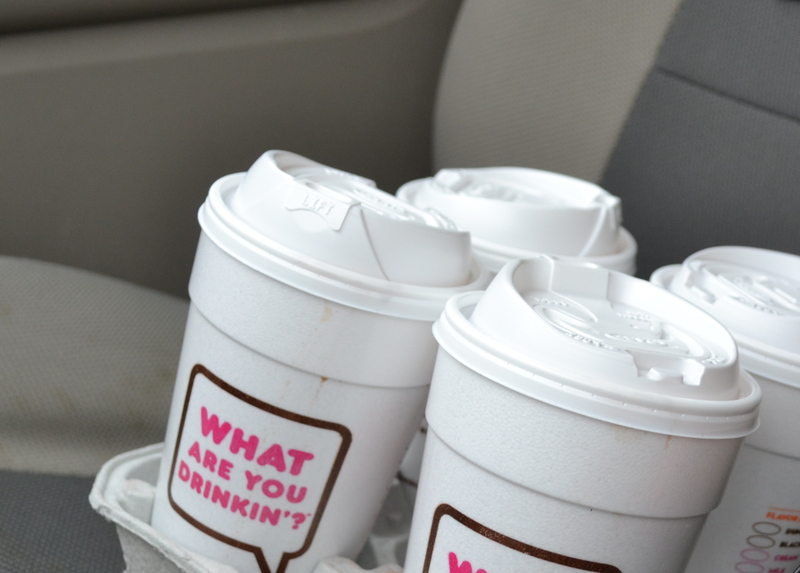 I thought about bringing them coffee, but some people don’t drink coffee. Tea? Nah, that didn’t quite cut it. Hot cocoa. Who doesn’t love hot cocoa? The best part is how it makes you feel like a kid again while drinking it. Yup, perfect. I delivered the cocoa to big smiles and big hugs. There were 3 employees there so I even got to enjoy that 4th cocoa for myself (bonus!). I drove away wondering how I could possibly explain how good it felt to do such a simple kind act for others. My heart felt so full, my eyes filled with tears and I felt like singing at the top of my lungs. Nope, that still doesn’t do it justice. I highly recommend finding out for yourself. And when you do, please share. oh how i adore you…. Funny…I think the same of you. Oh that’s a lovely act of kindness! You’re so inspiring!